Pioneers in the industry, we offer steel structural fabrication service and pre engineered building erection from India. Bestowed with a highly efficient team of experienced professionals, we are rendering top notch quality Steel Structural Fabrication to our customers. Employing latest technologies of production and highly efficient tools & equipments, we are completely adept in undertaking wide variety of consignments for structural engineering steel fabricators. Offered product is widely applauded for its utmost perfection; longer service life and corrosion resistance. These find its application in construction as well as engineering industries all over India. We are offering the entire range at industry leading rates within stipulated time-frame. 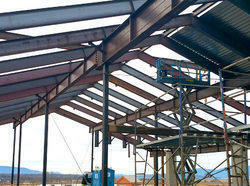 We offer wide range of Pre Engineered Building Erection Service. 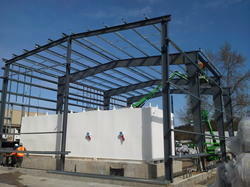 Our domain expertise allows us to offer superior grade PEB Structural Industrial Sheds at market leading prices. These PEB structures are manufactured using high grade raw material and advanced technology that keep their adherence with international as well as domestic quality standards. In addition.